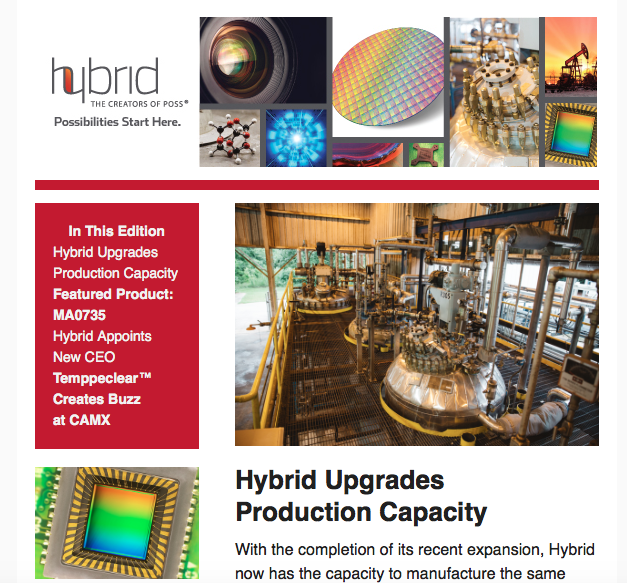 Hybrid released its October e-newsletter today, which marks the first such electronic communication format for the Hattiesburg, Mississippi chemical additive manufacturer. The October edition features information on Hybrid’s upgraded manufacturing facilities, its recent trade show unveiling of its new Temppeclear™ product and the appointment of Buster Blue as CEO. The featured POSS product for this month is MA0735 methacryl hard coating. To view the October newsletter, click here.